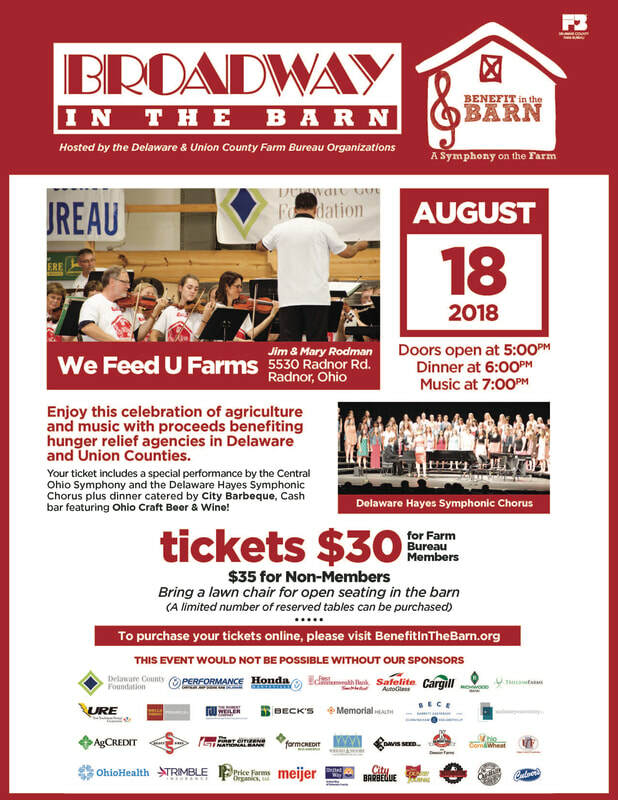 Over 700 people enjoyed the barbecue and great music by the Central Ohio Symphony at the 2018 Benefit in the Barn for the Delaware County Farm Bureau. Over $62,000 raised for food insecurities in Delaware County! Click here to see video from the performance!